3-B'z Cleaning & Maintenance Co.
We specialize in post-construction cleaning as well as estate maintenance. From light to deep cleaning of all parts of your home, Marina Cleaning Services in available in the Long Beach/ Seal Beach area. 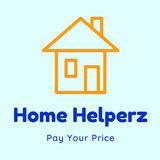 I offer weekly, bi weekly and even one time cleanings. 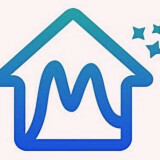 Established in 2012, my wife and I initially started our cleaning service to help local Real Estate agents beautify homes for Open House, and to sell and present for maximum exposure. Since then, we've opened our doors to the general public for all move-in and move-out cleaning needs. Water Damage Zone provides 24/7 emergency water damage service for Los Angeles and the surrounding area. We also provide top grade remediation and restoration for water, mold, fire and sewage damage. Water Damage Zone has gathered a team of highly trained professionals who are equipped with the latest techniques and equipment to ensure complete remediation. Customer satisfaction is important to us and this is why we treat all of our clients with care and compassion. With over 20 years of service in the field, we pride ourselves on our work and do not compromise on quality. To help with that, Water Damage Zone will work directly with your insurance company so you have one less thing to worry about. So what are you waiting for? Give us a call at (877) 520-1923 for your free, no-obligation quote. Water Damage Zone follows IICRC standards prescribed for water damage repair and mold removal, are licensed with CSLB, and insured to provide full restoration services. We’ll be there for you when you need us most! Call (877) 800-8110 for a Crime Scene Cleaner in Los Angeles CA. Open 24-hours for Crime Scene Cleanup Services, Death Cleanup, Suicide Cleanup, Hoarding Cleanup, and more. My name is Vanessa I am the co-owner and co-founder of Cendecon Crime Scene Cleaning, a company that cleans up after death. My husband and I live in Frazier Park and have family in Bakersfield and throughout Los Angeles, Orange County, San Diego and Santa Barbara. I am a mom of four young kids and I have a step daughter. My Husband, Ethan, and I decided to start a Crime Scene Cleanup company to help families take care of the unimaginable. We have witnessed the aftermath of death and the effects it has on family and friends, and we are devoted to making it a little easier by taking care of the gruesome details so you don’t have to. I know that we can’t make all the hurt and pain go away but we will take care of the details so that you can be with your family. We are always told by our clients how glad they are that they chose us to help them. We’ve been told a number of times that we make people feel comfortable and we have a care factor that they’ve not experienced when talking with other companies. What should I expect from a house cleaner in Thousand Oaks, CA? Most professional Thousand Oaks house cleaning services will do the same tasks for a basic residential cleaning job: clearing dust and cobwebs from all surfaces and fixtures; wiping all surfaces, including sinks, tubs, counters mirrors; cleaning tile; vacuuming and mopping. You may want to have different rooms detailed at different times, so ask about doing a rotating schedule if you want them to pay extra attention to each space (like kitchens and bathrooms) every other cleaning. Some house cleaning companies in Thousand Oaks, CA will also offer additional services such as window washing or appliance cleaning, so ask about incorporating them into your deal or doing them as a one time thing if you’re interested. Pick up any clutter (laundry, toys and other gadgets) and put pets in a secure spot so they feel safe and don’t get in the way of the Thousand Oaks house cleaning company. Put out any specific cleaning products or tools you want used, and make sure to lock up any valuables that you don’t want disturbed. Most housekeeping services in Thousand Oaks, CA will enter with a spare key or garage code, but if that isn’t something you’re comfortable with then you should arrange for them to come when you are home to let them in. Typically Thousand Oaks house cleaners expect payment at the time of cleaning, so ensure you have the appropriate form of payment (cash, check or credit card) on hand, plus a little extra for tip if that’s your style and they do a great job. 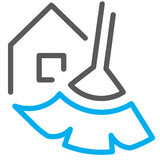 Find Thousand Oaks house cleaning services on Houzz. 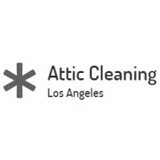 Narrow your search in the Professionals section of the website to house cleaners in Thousand Oaks, CA and contact local companies to ask questions and get quotes.